Artwork of yellow tropical tree flower clusters with a bee and a rough painterly texture. An aloe plant with a stalk of yellow flowers and a rough painterly texture. 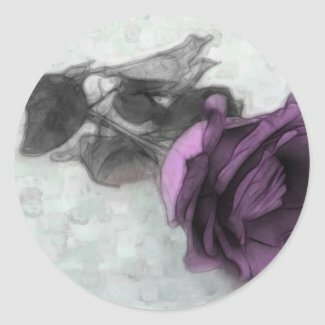 Cool Stickers using one of my artworks of a "purple" rose flower.